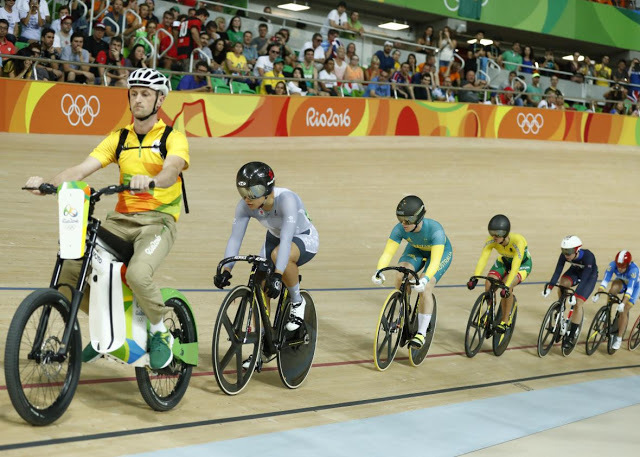 If you watched the track cycling event at the Rio Olympics, you would have noticed an out of place fellow leading the field at the starting laps of the keirin. His job is to set the pace, and his awkwardly upright figure is intentional – to block the wind – as he brings the field up to 50km/h. After five and a half laps, he peels off and the athletes sprints another two and a half laps until the end. Dernies, as the pacer’s vehicle is called, were originally petrol-powered motorcycles, but has been replaced by an all-electric scooter of sorts, since there are no pedals. The Olympic derny was built by Elmoto, a German company, and it has a top speed of 60km/h, with a precise accelerator so that the rider can set an exact pace. It has a 1.5 kWh battery pack that gives the bike a range of 65km on each charge; since it only travels no more than 1.6km per race, that gives it plenty of juice to do its duty. 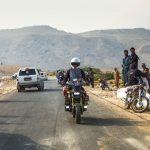 The Elmoto vehicle costs less than US$4,000, which is a bargain compared to the bicycles that follow behind, which costs at least US$25,000 each. The stoic-faced guy who rides the derny is Ivo Siebert, a semi-professional cyclist and bike shop owner in Brazil. In his beige trousers, polo shirt and backpack tightly strapped on, he looks more like a rider on the way to work than a lead keeping a pack of highly charged racers in check. Keirin has an interesting history that begins in Japan, in the aftermath of World War II when the government built racing velodromes across the country and licensed it for gambling, to help regenerate the economy and circulate money. It is only a recent addition to the Olympics, when it made its debut at the 2000 Sydney Olympics. Farrah Haines Drove Her Hyundai Elantra 1 MILLION MILES in Just 5 Years!